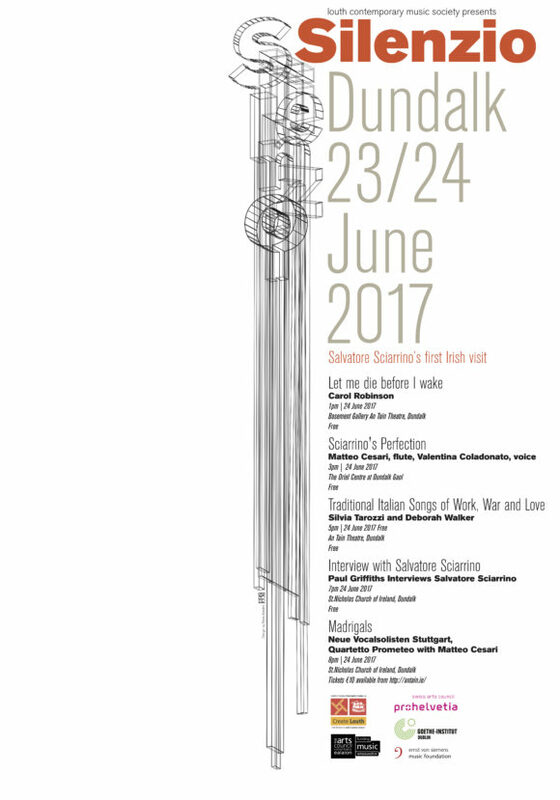 Louth Contemporary Music Society’s June 2017 SILENZIO focuses on the work of one of the great composers of our time, Salvatore Sciarrino, making his first visit to Ireland. 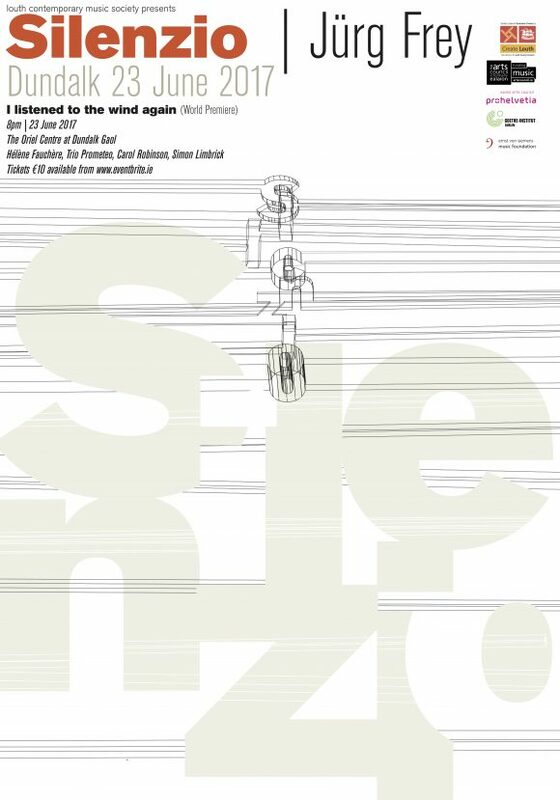 Also featured are several international performers including Hélène Fauchere, Carol Robinson,Quartetto Prometeo, Matteo Cesari, Valentina Coladonato and the outstanding vocal ensemble Neue Vocalsolisten Stuttgart. 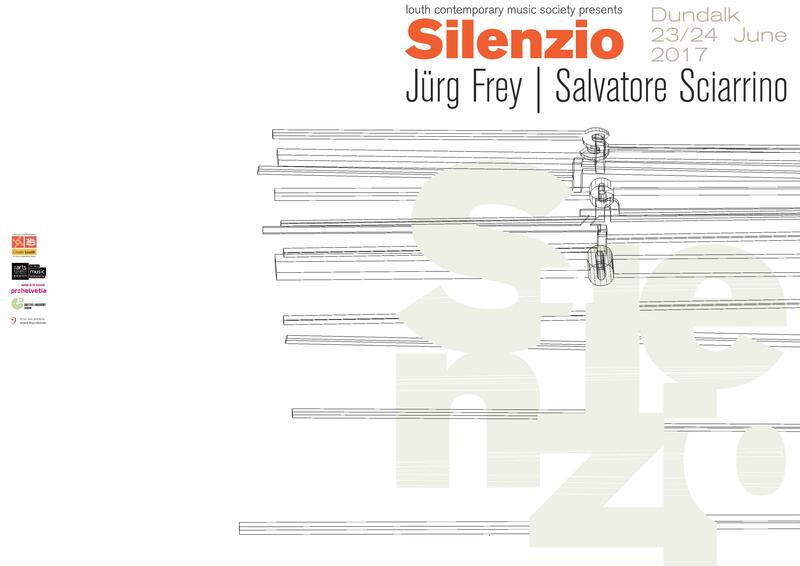 SILENZIO also presents the result of an ongoing collaboration with the Swiss composer Jürg Frey: the world première of his I Listened to the Wind Again. 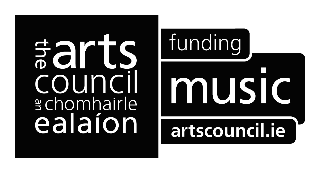 Paris-based US clarinettist Carol Robinson makes a welcome return to Dundalk with a programme that focuses on the works one of her teachers, the Italian minimalist Giacinto Scelsi, alongside Sciarrino’s Let Me Die Before I Wake. Sciarrino is one of the world’s most poetic and fascinating composers. His mesmerizing La perfezione di uno spirito sottile (The Perfection of a Subtle Spirit) will be performed in the intimate setting of Dundalk Gaol. Widely acknowledged as a masterpiece, this rivetting piece is a 40-minute threnody for flute and voice. Italian violinist Silvia Tarozzi and Italian cellist Deborah Walker perform repertoire from Malcolm Goldstein to Cassandra Miller along with their own unique take on traditional Italian songs. Free event for ticket holders of the 8pm Madrigals concert. Matteo Cesari will join the Quartetto Prometeo to perform a recent Sciarrino work, Trovare un equilibrio, è necessario? (Finding an Equilibrium – Is it Necessary?). 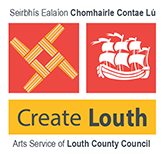 Funded by the Arts Council and Create Louth, SILENZIO is also assisted by the friendly support of the Ernst von Siemens Music Foundation, Louth County Council’s Community Disaspora Fund, the Swiss Arts Council Pro Helvetia and the Goethe Institute.